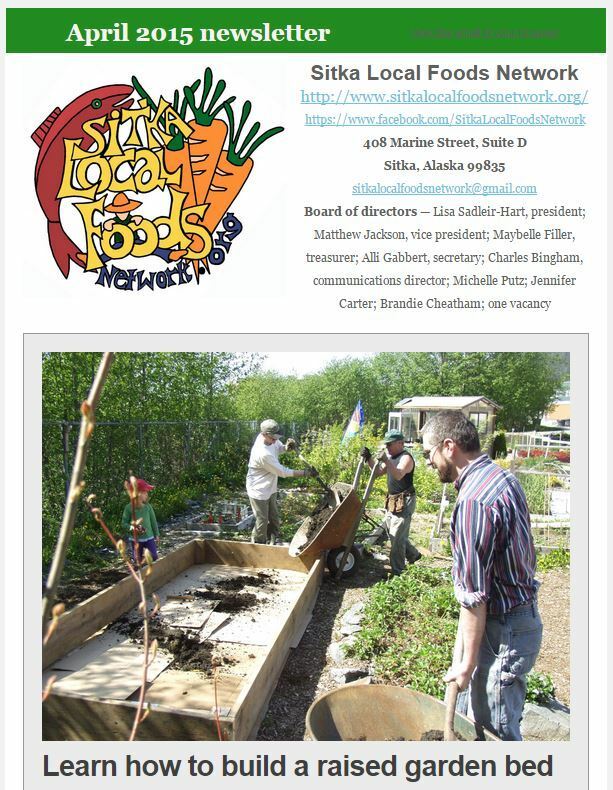 The Sitka Local Foods Network is a 501(c)(3) nonprofit organization, and your donations can help support a variety of projects promoting the growing, harvesting and consumption of local foods in Sitka, Alaska. 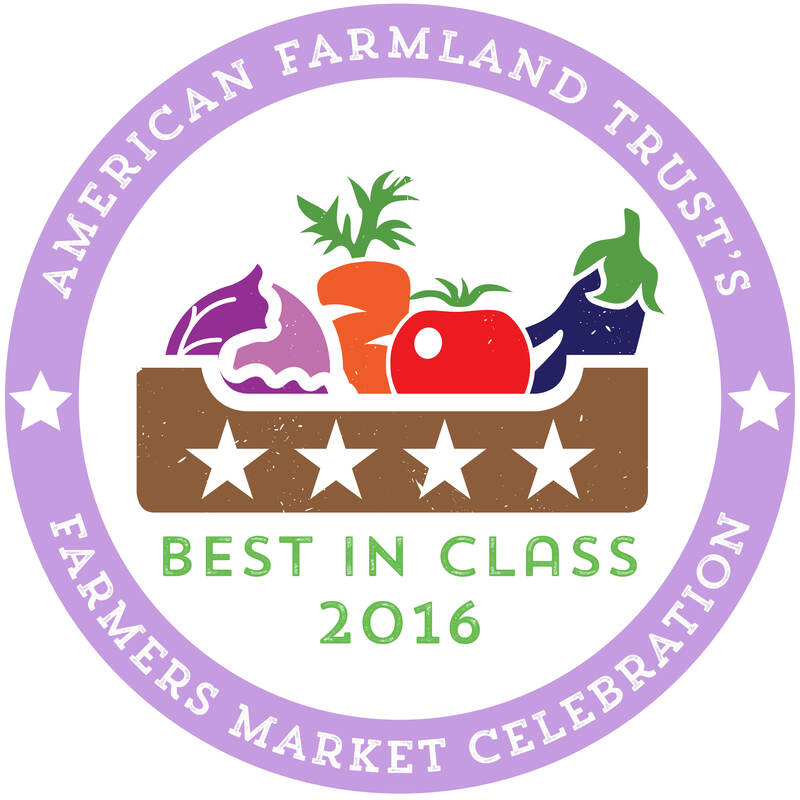 Your donation helps us fund the Sitka Farmers Market and St. Peter’s Fellowship Farm, among other projects. We offer education opportunities to Sitka residents, so they can learn how to grow their own food and preserve it for the winter. 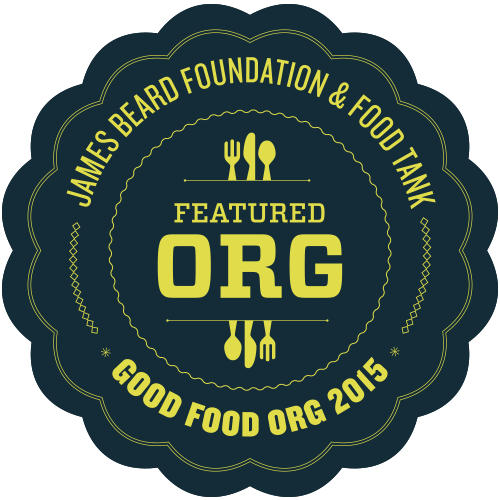 In 2018 we launched a Sitka food business innovation contest, and we continued it in 2019. 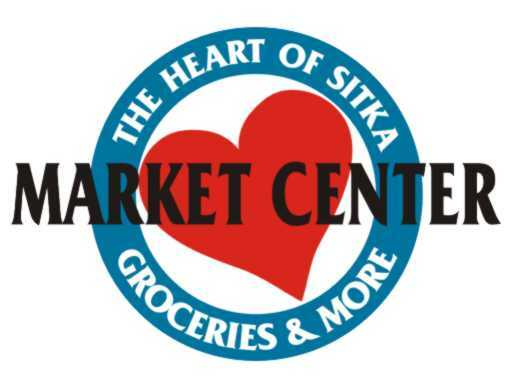 In 2018 we also received a $1,000 grant from the Sitka White Elephant Shop (aka, the White E) that will help us match funds for the WIC (Women, Infants, Children supplemental nutrition program) and SNAP (formerly known as food stamps) users who buy produce from us during the Sitka Farmers Market and other events. 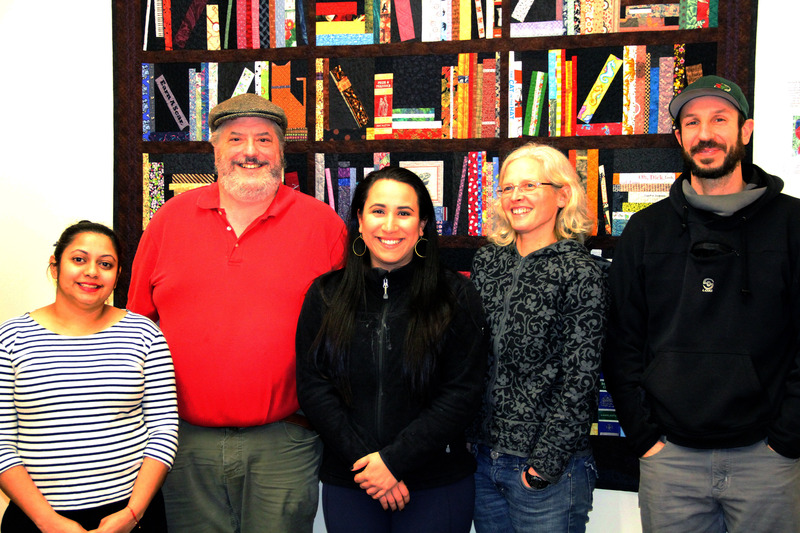 In 2019, we received a $1,500 grant from the White E. In addition to our own programs, we support food projects run by other Sitka organizations, such as the Sitka Kitch, Sitka Community Gardens, Fish to Schools and 4H. 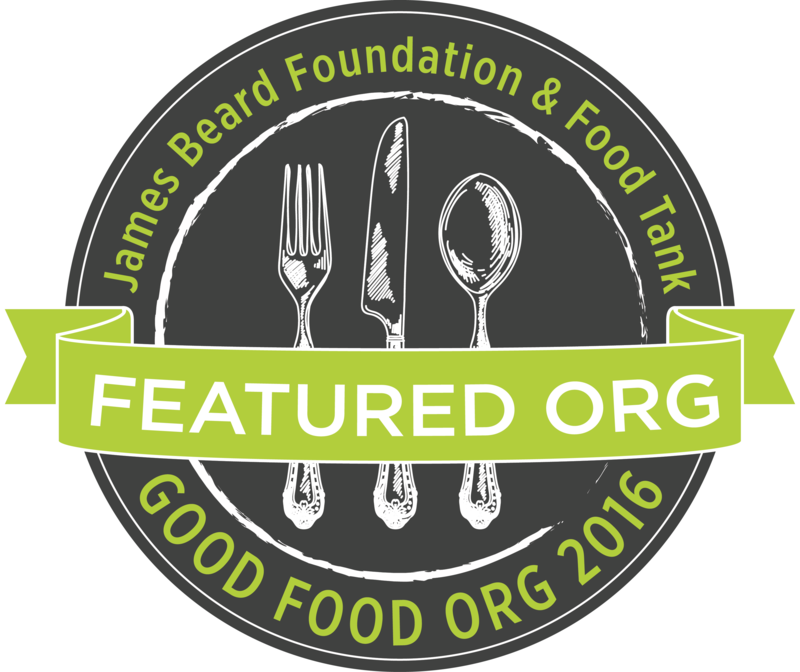 To make a tax-deductible donation, you simply mail a check to: Sitka Local Foods Network, 408 Marine St., Suite D, Sitka, Alaska, 99835. Please let us know if you need a receipt. Our EIN is 26-4629930. 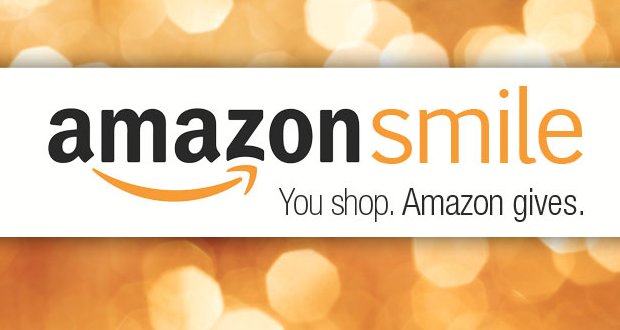 We also have an online donation site through Razoo.com, and you can make an online contribution by clicking this link or the image below. 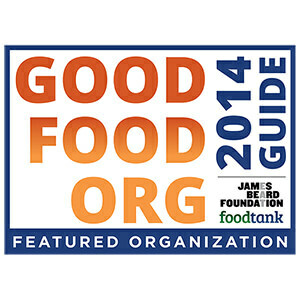 In addition, we can be found through the online donation site NetworkForGood.com, and you can donate by clicking here (note, NetworkForGood.com handles most of the fundraisers on Facebook). 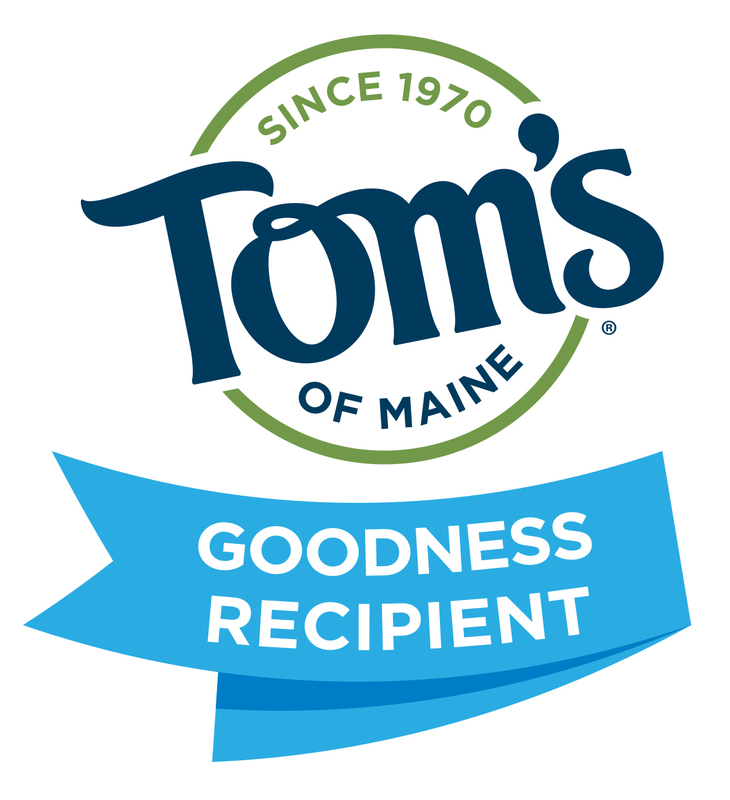 If you work for one of the businesses, such as Alaska Airlines, that uses the Benevity.com website for employee charitable donations, the Sitka Local Foods Network can accept donations through that site. Click the link above to go to our profile page. Also, some corporations match employee donations, so double-check with your employer to see if your donation will be matched. 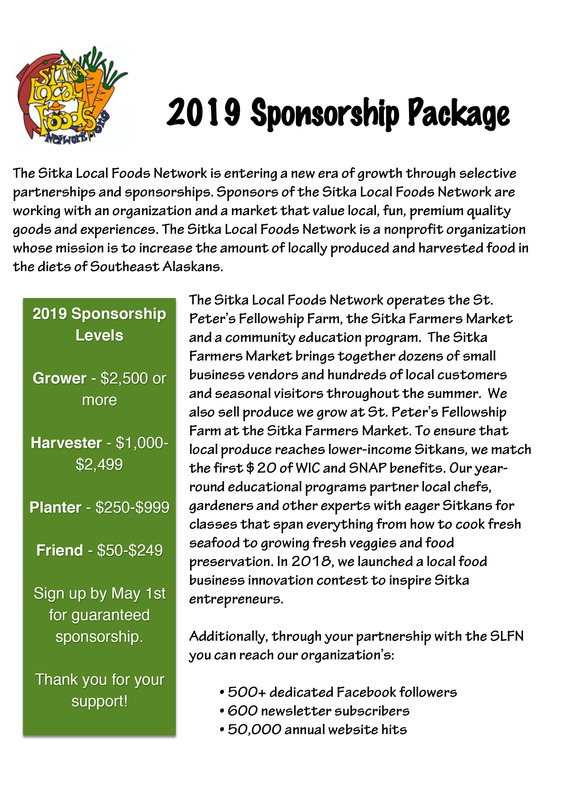 In 2016, we launched a sponsorship program, where local businesses and individuals can support the Sitka Local Foods Network at four levels — Grower ($2,500-plus), Harvester ($1,000-$2,499), Planter ($250-$999) and Friend ($50-$249). 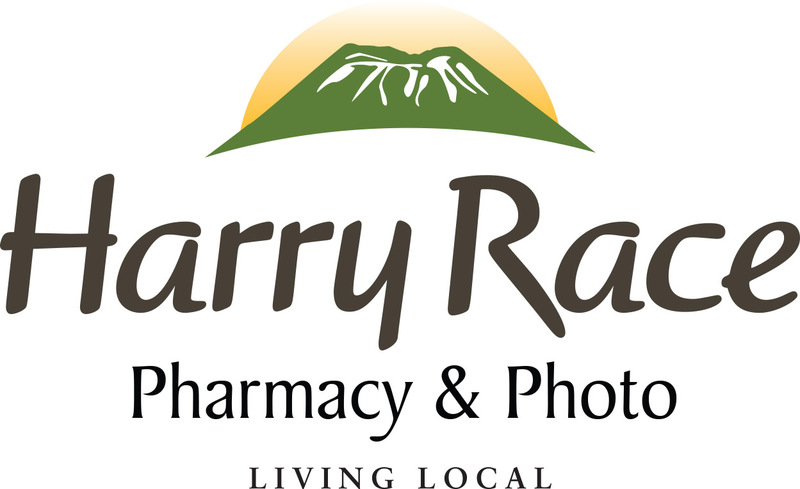 In 2019, the Alaska Comprehensive Cancer Partnership has donated at the Grower level; the SouthEast Alaska Regional Health Consortium (SEARHC) and the White E donated at the Harvester level; while the Sitka True Value, White’s Inc./Harry Race Pharmacy, ALPS Federal Credit Union, Sea Mart Quality Foods, and Market Center all donated at the Planter level. Please support our sponsors. So how does even a small donation help us? A $10 donation might allow us to seed one large section of garden with carrots for example, buy two smaller packages of seeds, buy bags for salad mix product, or replace worn-out gloves. A $25 donation might replace our broken hoes or other tools, buy sand to mix into dirt, pay gas on the truck for loads of seaweed, buy snacks for volunteer laborers, or buy hoops for low tunnels. A $50 donation might buy a sheet of plastic for a hoop, hire the local fundraising sports team to move an apple tree or build a new garden bed, buy row cover or weed-block fabric, or buy potato seed for the upcoming year. A $1,000 donation can help support the costs of operating the Sitka Farmers Market or St. Peter’s Fellowship Farm communal garden. 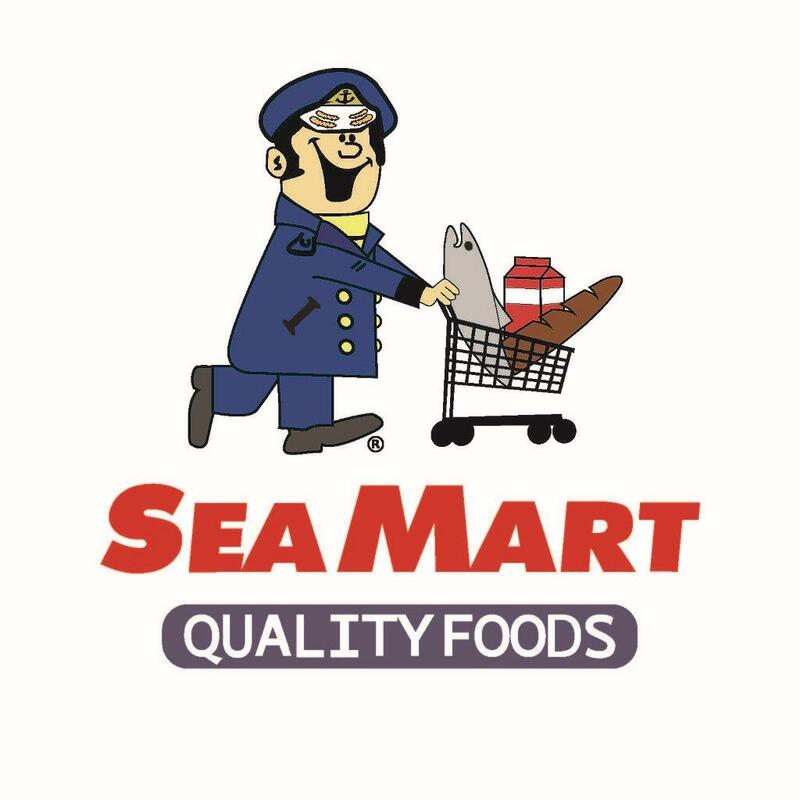 Or it might help provide matching dollars to WIC and SNAP beneficiaries when they buy produce at the market, or it can provide prize money for the Sitka food business innovation contest we hope to launch in 2018.